Promise Training & Consultancy is a leading strategy implementation and behavioral training & consulting company. 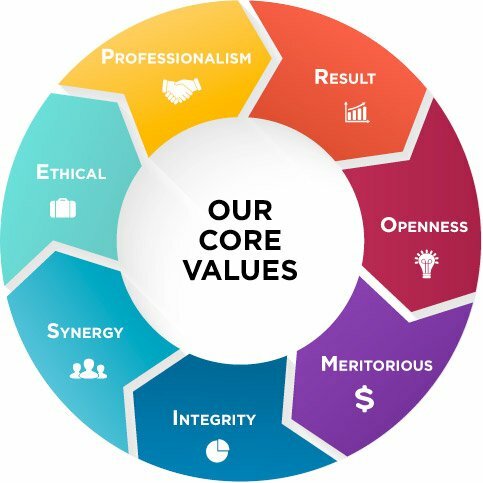 Our core competence is the alignment of organizational strategies with people, processes and systems (information technology) to deliver transformational/cultural performance improvement and operational effectiveness. Promise Team is comprised of a highly motivated, energetic, talented team that brings decades of experience to their projects. We have established our credibility by providing comprehensive and broad branded training & consulting solutions across a vast cross-section of competency domains. We offer a variety of course delivery formats in order to accommodate individual training requirements and schedules. We work with you to understand your goals and any challenges you may be facing. We will recommend a solution unique to your organization. We help our clients to maximize the potential of their existing assets and take their business and employees to new levels of performance. We deliver results on a scale and speed our clients would not be able to achieve on their own. We support individuals and teams in developing the skills and behaviors they need to achieve high performance for growth now and in the future. We listen, we respond and we take action, to help you implement the desired changes to reach your goals. We are passionate about helping our clients reach their full potential by helping your teams to better use (or acquire) their resources and tools. As consultants, we work with our clients on their premises, using a common methodology, and a strong collaborative approach and infrastructure of support. Many of our consulting projects become a creative blend of process consulting, interim management, training and coaching that delivers advanced systems or processes and the right skill set to sustain operational performance improvement. As trainers, we provide bespoke behavioural and technical skills using a phased approach that optimised application in the workplace. Our training can be accredited. As IT specialists we guide Chief Executives, Executive Teams and Chief Information Officers to exploit Information Technology and align it with strategy and team objectives to achieve business advantage through superior data quality management.